The U12 Co-Ed hockey team captured the Silver Cup Championship on Friday with a 5-1 win over the UCC Gr.5 squad. Our team defeated Sterling Hall and Country Day School earlier in the day earning our way to the final. Upper Canada College took an early lead in our last game but we eventually found our legs and dominated play in the second and third periods. This is our second Next6 title in two years and our third in four. Congratulations to all of our players…George Zhou, Ben Maharaj, Daniel Rauchwerger, Jayin Vohra, Luke Hristovski, Brayden Cox, Bert Wen, Leslie Qiao, Mars Sun, Brendan Barton, Sharkey Chen and Hannah Hurwitz. Special thanks to coaches Sandy and Sherri Brenzel for their help throughout the winter season. 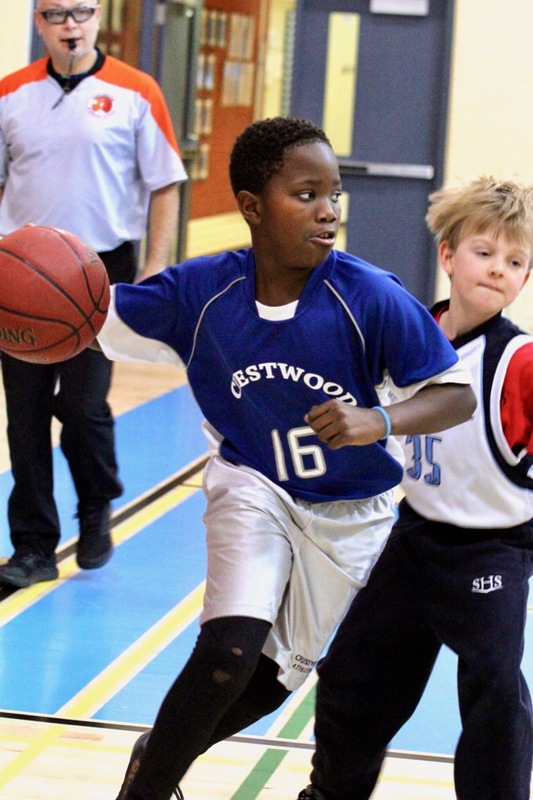 On Saturday, Crestwood staged it’s first CIS Ontario Basketball Tournament in the new gym! 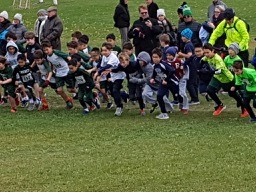 Six u10 teams from across Ontario came to compete and the inaugural tournament was a big success. It was even live streamed on the internet for those viewers who couldn’t make it! Our team certainly did the school proud. 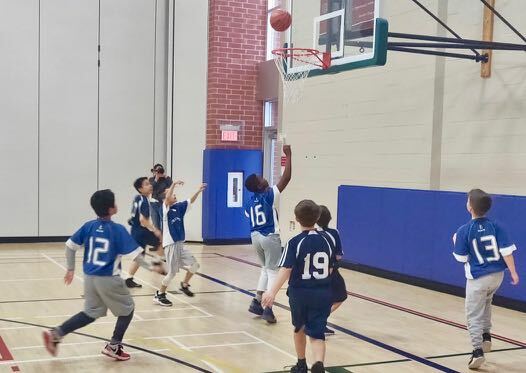 They started with a resounding 42-20 victory against Crescent before being narrowly edged out by Hillfield Strathallan in the second group game. This setup a very close bronze medal game with Bayview Glen. The game ebbed and flowed, but our team came out deserved 46-40 victors following a an excellent last period. 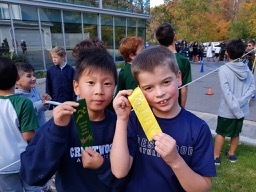 Coaches Cooper and Pembridge are very proud of the team and how they represented the school on the day and throughout the season. 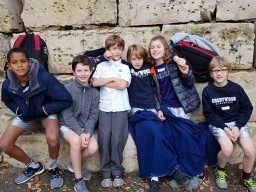 The U-11 Basketball team dominated their final tournament and won the championships this weekend at Country Day School. The boys, moved the ball effectively, played tenacious defence, and made big buckets when they mattered most. They came together as a team, and their stellar play lead them a 4-0 record and a championship banner, which will hang proudly in the gym. Thank you boys for an amazing season! This Saturday February 23rd, 2019 Crestwood will be hosting it’s first ever CISAA final tournament. 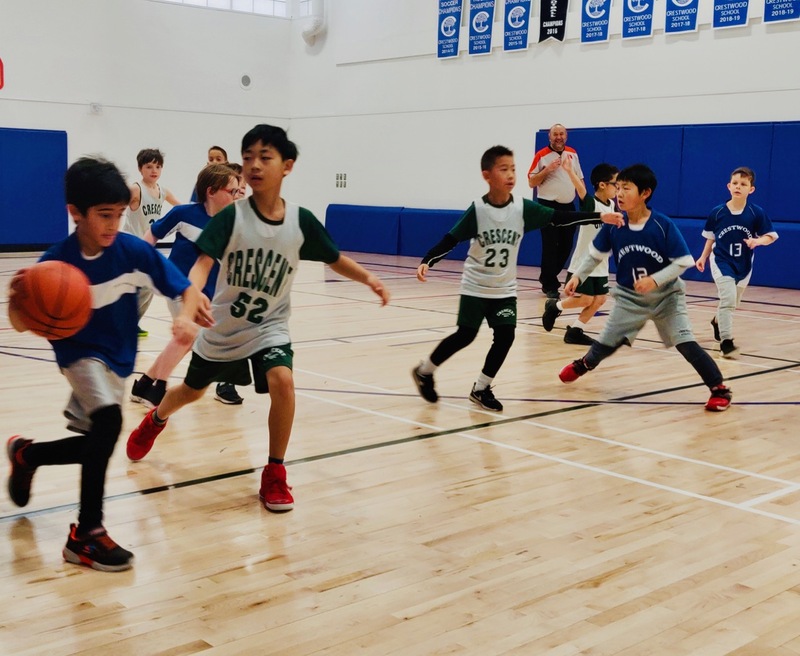 We are excited to be hosting 5 other schools as our U10 Basketball team battles for supremacy on the court. We are also excited to be attempting our first Live Stream of a sporting event. The link is available below and will also be available on Edsby at the top of the main page. If you are interested in watching the U10’s play this Saturday the stream will be live at 9:00am and again at 11:00am for their first two games and should they make it to the finals they will go live again at 12:30pm. See you on the stream! 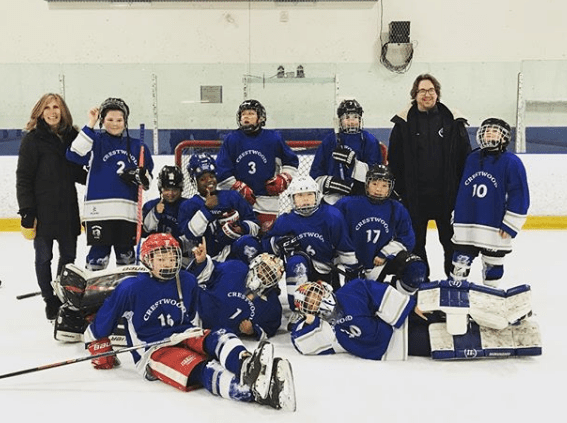 The Crestwood School U12 Co-ed hockey squad dropped a 7-3 decision to the Crescent Coyotes on Monday. The game began well for the visiting squad as we built a quick 2-1 lead on goals from Sharkey Chen and Mars Sun. The Coyotes bit back in the second frame and never took their foot off the gas the rest of the way. Crestwood responded in the third with some pressure that resulted in another goal by Chen. Player of the game for the Cougars was George Zhou. George stood tall throughout the game and was faced with 50 plus shots. Well done lad! The boys and girls are back at it next week when they travel to Upper Canada College next Thursday for their final regular season game. 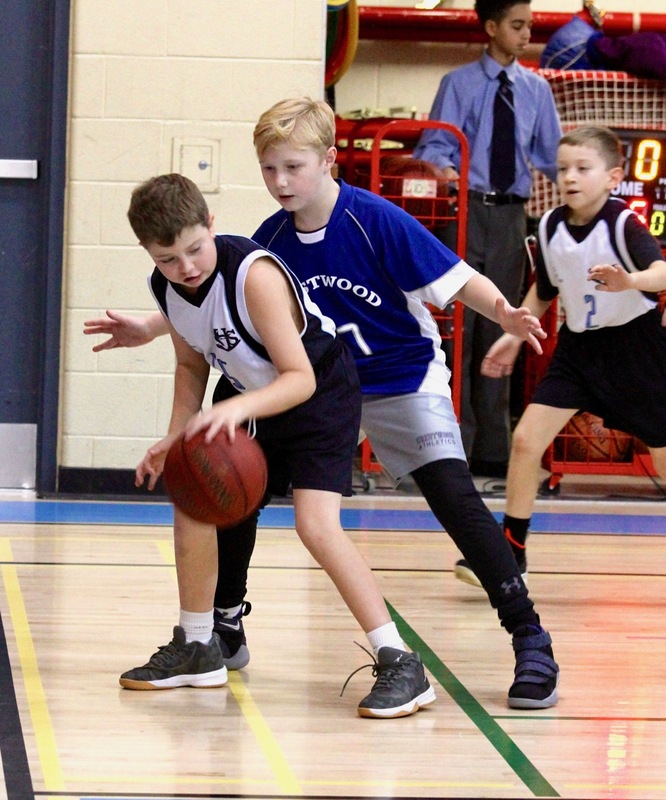 The Crestwood u10 basketball team came up with another resounding victory against Country Day School on Thursday. The game started slowly, but was ignited by a 3 basket-scoring streak from Sebastian Volkenborn. The team played some dazzling basketball in possession, including an impressive points tally from Ben Maharaj. Harrison Strasler and Eric Zhang led the way in keeping out the opposition on defence. The team are looking forward to their upcoming tournament against Crescent and Montcrest. 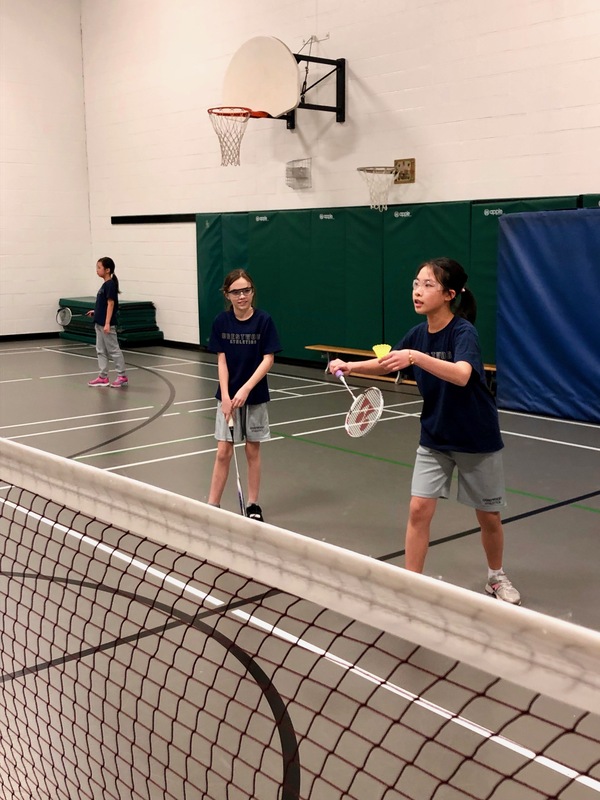 The Crestwood Badminton team hosted Branksome Hall for club play on Monday. Ethan, Joanne, Julia, Christopher, Yolanda, Chloe, Piru, Tyler, Justin, and Sean played hard and with heart. 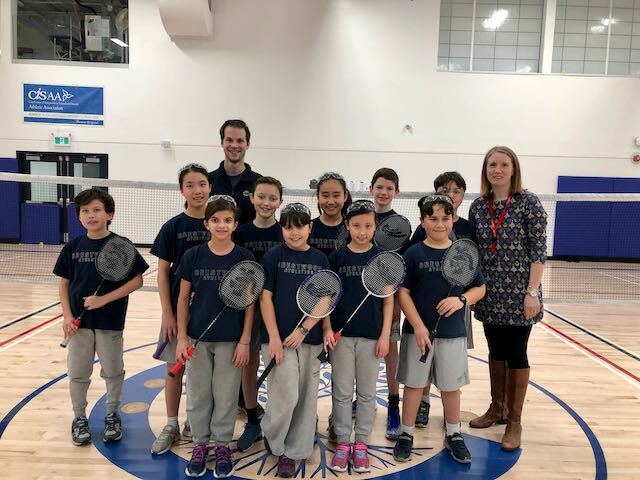 Coaches Butler and Krashinsky are proud of your skill, badminton etiquette, and sportsmanship! While the inter-school matches have concluded, the team will still play together at 12:20 on Fridays until the break. On behalf of all Crestwood School coaches we would like to sincerely thank you for outfitting all of us in our new coaching gear. 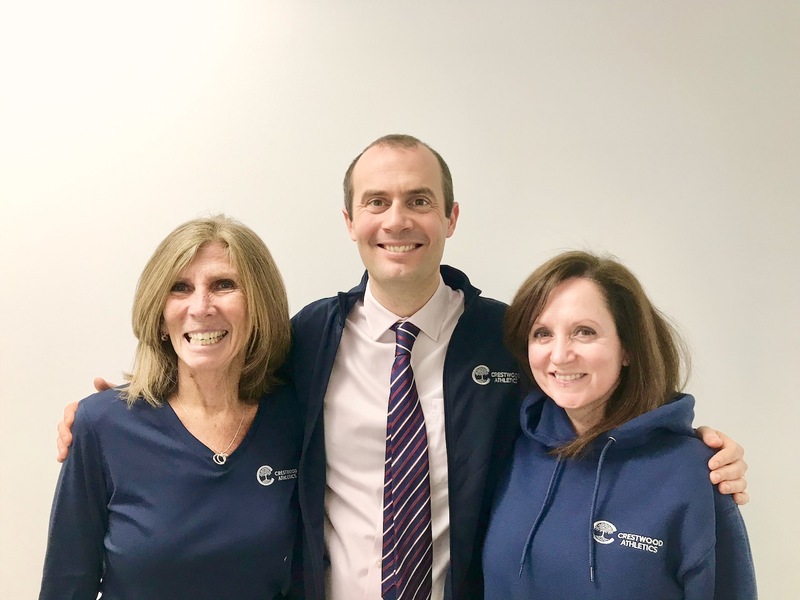 We represent the entire Crestwood School community when hosting or visiting other CIS schools and our new coaching apparel adds another layer of professionalism and pride. Thank you, thank you, thank you. Your donation is much appreciated. On Wednesday evening our basketball boys lost another tough test versus Sterling Hall Sharks. It is the second time in a week we have lost to this team and both contests were close. Great all around play from Jay Codron and rabid rebounding and playmaking from Romeo DiBattista would not be enough as the Cougars would drop the game by one point. The next day the Cougars were back at it with a dominant effort in a big win over The Moncrest School. The entire team worked well throughout the game; moving the ball efficiently, rebounding and finishing at the hoop. We are working hard on improving every game and have a big weekend coming up as we travel to Montreal for the Lower Canada College Invitational basketball Tournament. 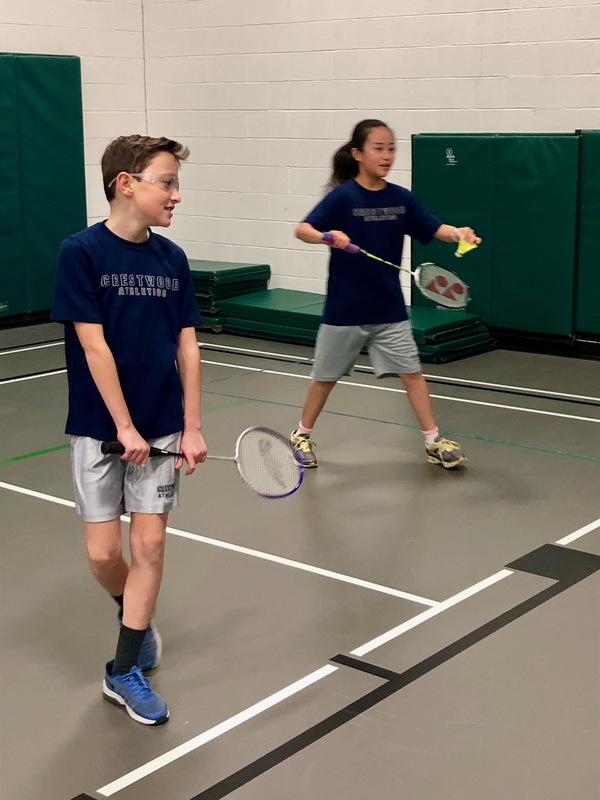 Members of the Crestwood badminton team travelled to Branksome Hall on Thursday for doubles club play. 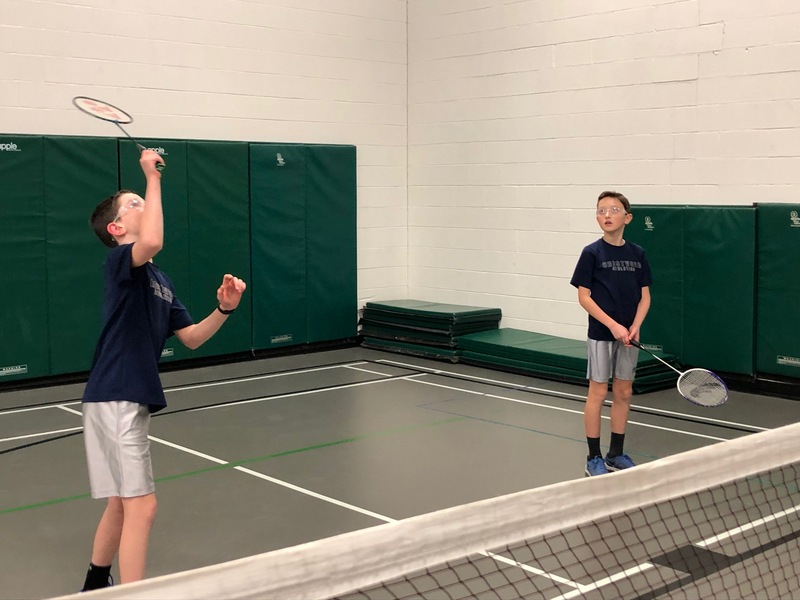 Our athletes played hard in several matches each, strengthening their skills and strategy along the way. We’re looking forward to hosting Branksome Hall in February! 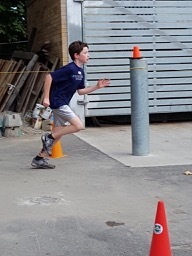 The U12 hockey team continues to progress through their season as they traveled to RINX on Wednesday set to tangle with some Sharks from Sterling Hall. The Cougars hit the board early when Bert slammed a slapper past the Sterling stopper. The Sharks charged ahead 2-1 before Brayden slipped home a perfect pass in the slot from Hannah. The Cougars continued to pressure before rookie Ben Maharaj scored a beauty off the rush sliding home a short side snipe. Mars made it 4-2 with a darting solo effort before roofing his rifle release. We held on for 4-3 win as George and Jayin combined for another win. Nice work guys n gal. Next stop la belle province for Lower Canada College Invitational Hockey Tournament! The U12 co-ed hockey team started their annual Boyd Caldwell tournament with a 3-3 comeback tie versus our host UCC Blues. It was a tight affair from puck drop with many great saves made by both goalies. The Blues took a 3-1 lead into the third before Luke Hristovski cut the lead in two with a slot snipe. We kept the pressure on and were able to tie the game when Ben Maharaj poked in a rebound with less than 2 minutes remaining to play. George Zhou starred in nets and Sharkey Chen slammed home a slapper in the first on a powerplay. 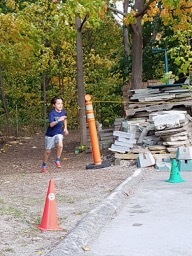 In our next game we ran up against John Ross Robertson school and we knew we were in for a fight. JRR came out strong and built a 2-0 lead but we were determined to battle back. We took over the game in the second period and peppered their goalie with shots but were only able to squeeze one puck past their determined netminder. Our goalie tandem of Jayin Vohra and George Zhou kept us in the game with some spectacular saves. Next game @6PM tonight vs. Lower Canada College from Montreal. The Girls volleyball team dropped three close games to the Bayview Glen Gryphons on Tuesday. It was the first competition for the girls and despite the result our team showed much improvement throughout. 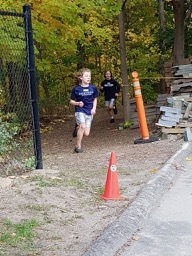 Hannah Hurwitz and Olivia Rock bumped and passed in control while the Baker sisters hit multiple winners to keep the contest close. The volleyball girls are back in action on Thursday as we host a mini-meet with Pickering College, Montcrest and Bishop Strachan. 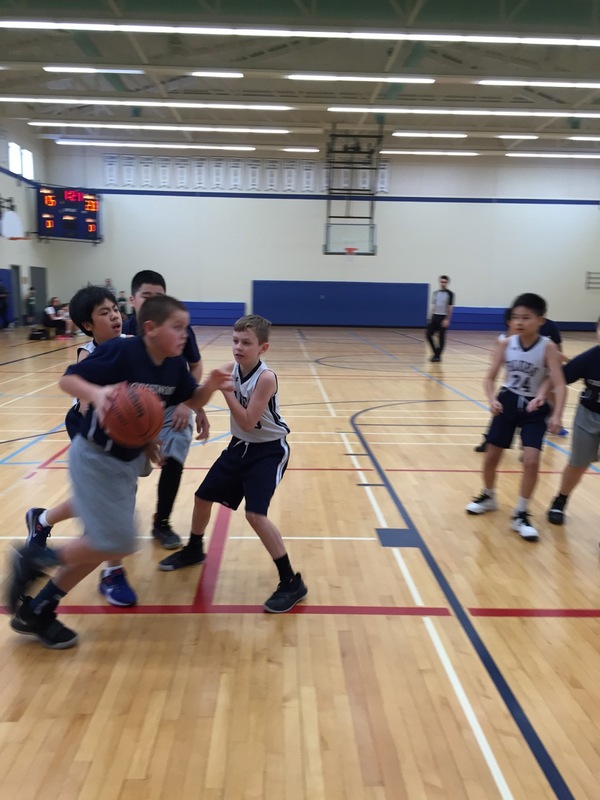 The u10 basketball team played another great game to achieve a 38-22 victory at Bayview Glen. After a nervy opening few minutes, the Crestwood team took the lead through a basket from Jordan Mao. From there they never looked back. Through showing great teamwork, commitment and skill the side extended their lead, helped by big basket contributions from Mikhail Zaidi and Ben Maharaj. We look forward to taking this form into our next game at Crescent School. 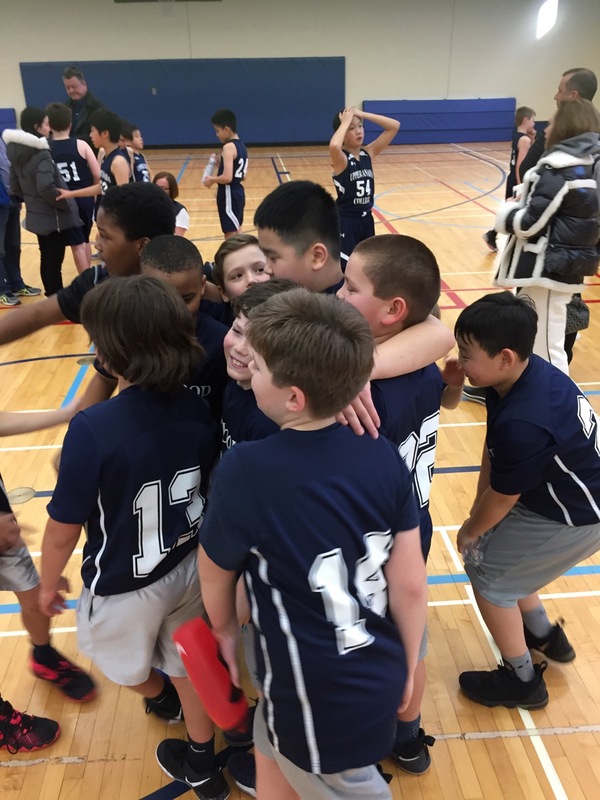 Last night the u-11 boys basketball team was able to capture their first victory of the season over Bayview Glen. The boys moved the ball effectively and were able to establish an early 12-nothing lead. 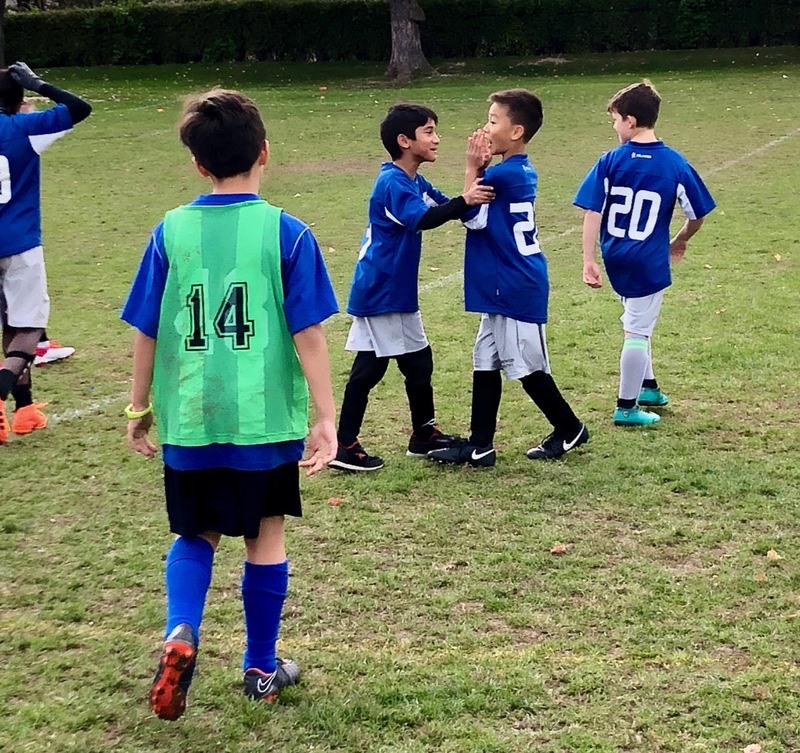 They displayed tremendous team work and strong defensive positioning, which allowed them to steadily build their lead as the game progressed. Big congratulations to the boys on a game well played. The U10 basketball team got their season underway with a comprehensive 52-30 victory over Sterling Hall. The team got off to a storming start, scoring 7 baskets without reply. From there the game settled down into a much more even affair, but Crestwood stayed ahead by showing great skill, effort and determination. Most pleasing was the excellent teamwork that was on display. This was exemplified by every student on the Crestwood team scoring a basket! We look forward to taking this form into the next game. 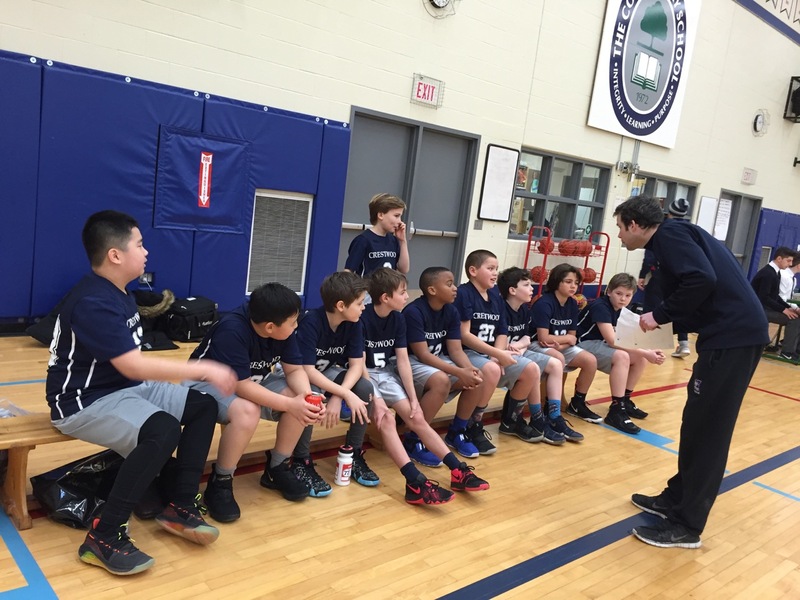 The U12 hockey and basketball teams traveled to Upper Canada College yesterday afternoon. The hockey squad had a date with the Blues’ Grade 5 Hockey Team. The game was fairly even through the first 10 minutes with scoring chances being traded back and forth and both goalies making some solid saves. Late in the first frame Sharkey Chen lit the lamp after being set up by centreman Mars Sun. Chen then bagged another beauty early in the second to get things really rolling for the Cubs. Bert Wen then scored a gorgeous goal where he used his patented toe drag move before depositing the disk under the bar on the short side. Berty was back! We kept the pressure on with our hard working rookies Brayden Barton and Daniel Rauchwerger pressuring all over the ice. Our dominant power shift of Brayden Cox, Hannah Hurwitz and Luke Hristovski were effective in rolling around in the offensive end throughout the game. Defenceman Leslie Qiao then got into the act and scored the next three goals to cap a 6-3 victory for the visitors. George Zhou and Jayin Vohra were both steady in goal when called upon. The basketball game was an amazing team effort. Jay Codron led the way with 20 points, 10 rebounds and 10 assists. Romeo also chipped in with 12 points. Johnny Musson and Fraser Bryant crashed the boards with 12 rebounds and 6 points while Ryan Michaels, Noah Kassam, and Griffyn Morgan led the defensive charge with 11 steals combined. Griffin Brown played amazing, making his debut after an injury. Mikel, Daniel and Eddie splashed some long bombs to help separate the score. The Crestwood Cubs are on a roll as they haven’t lost a game this season. Final Score 53-14. Lets Go Cubs! Both teams travel to Royal St. George’s College on Tuesday as the schedule wraps up until the New Year. The U12 hockey picked up a victory yesterday with a convincing win against the Pickering College Pumas at York Mills Arena. Crestwood used swift skating, crisp passing and an overall team game to dominate the game from puck drop to the final whistle. Goalies Jayin Vohra and George Zhou were solid when called upon. All 9 of our skaters were efficient and hardworking throughout. Congrats to Sharkey Chen, Ben Maharaj, Daniel Rauchwerger, Hannah Hurwitz, Brayden Cox, Luke Hristovski, Mars Sun, Leslie Qiao and Brendan Barton. The U12 squad hits the road next week as we will be travelling to face Upper Canada College on Thursday @4PM. The U12 Co-Ed Hockey team began their season yesterday by hosting the TFS Tigers at York Mills Arena. The game was tightly contested for the first period with both teams working very hard at both ends. TFS broke through with the first goal before Crestwood bounced back with a nice individual effort by defenceman Sharkey Chen who wheeled wide before snapping it upstairs shortside to tie the game. After that it was all Toronto French as they rolled shift after shift and wore down the home squad. George Zhou made many spectacular saves throughout the contest and our players never gave up but the opposition proved to be too much on this day. The Crestwood Cubs hit the ice next Thursday to play Pickering College. Game time is 3:15PM at York Mills Arena. Being on a team, is more than just dawning a team jersey and taking to the field or court. 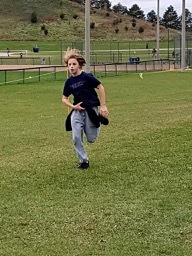 It is competing to the best of your ability, working with your teammates on and off the field, performing plays that your coach has fostered throughout countless practices, and then being present and accountable during the championship games, no matter what the circumstances or weather conditions might be. That is just what happened this past weekend. Memories and bonds were created that will last a lifetime for all that participated. The buzz and smiles of students, parents, and coaches has been front and center this entire season. Congratulations to all Crestwood Soccer team members and coaches. 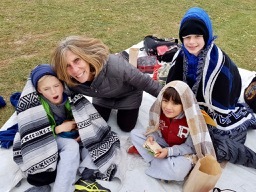 Special mention goes to both the U10 and U12 Soccer teams for bringing home the division banner and trophy this past weekend, in less than ideal weather conditions. 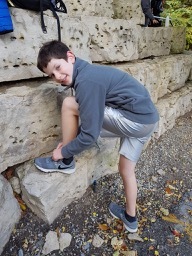 As for the Cross Country team…you know your coaches are proud of your extraordinary accomplishments this season. Your results speak for themselves. 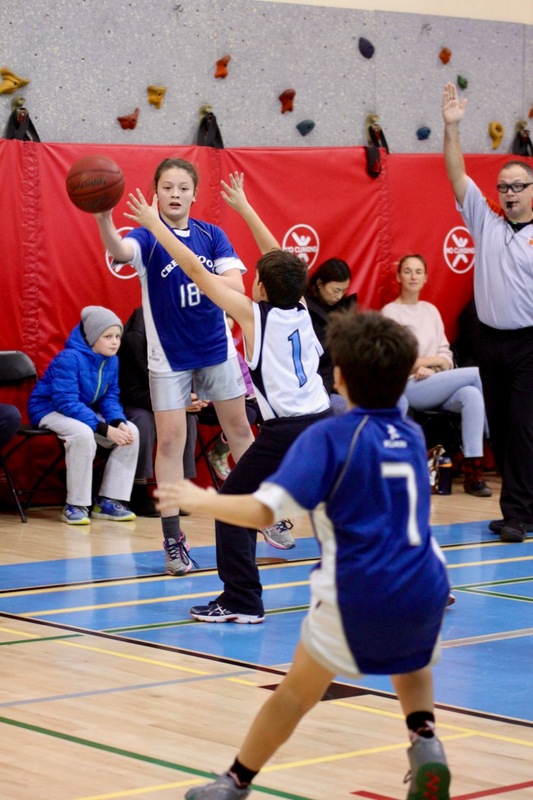 The U12 girls Basketball team improved all season long. The girls honed their skills and their confidence grew with each practice and game. They competed with pride in the new Crestwood gymnasium, to a crowd of enthusiastic onlookers. We can’t wait for the winter season to begin. Transportation is provided to and from York Mills arena. Please bring your hockey equipment to school in the morning and leave the bags and sticks in a neat pile in the atrium. U10 and U9 basketball ~ lunchtime practices begin Mon. Nov. 12th. 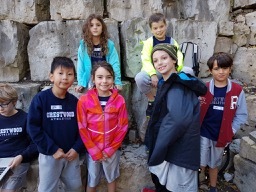 Times/days will be highlighted in the weekly Crestwood newsletter. With primary skating, Burgerball at the College, our annual LCC Hockey and Basketball Tournament in Montreal, and finally our school ski day, Crestwood coaches and teachers are ready to go. 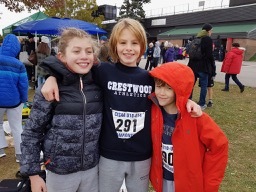 For more information please check our weekly Crestwood newsletter under the heading SPORTS WEEK AHEAD and Edsby for regular updates, game and practice schedules. 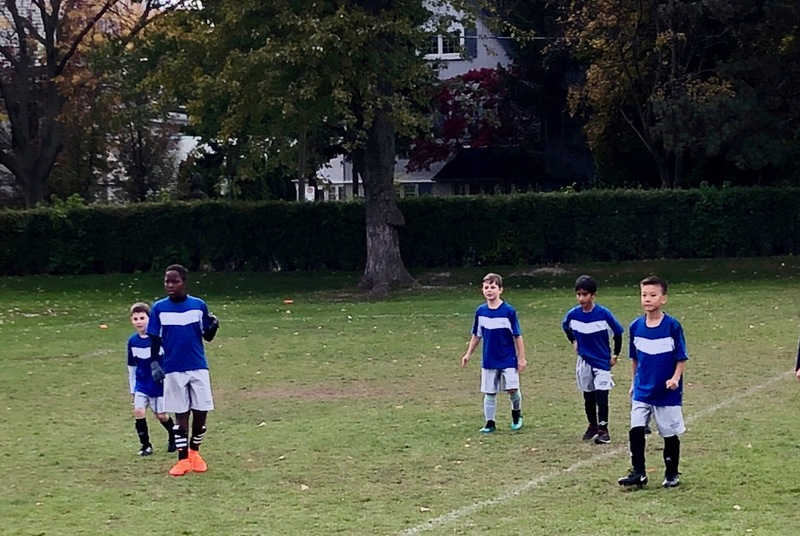 On Saturday October 27th, the U-10 soccer team participated in our final tournament at Crescent School. Despite the rain and cold weather the team was ready to go! Our first game was against CDS. We quickly took the lead with an amazing goal from George. Soon after, both Mahdi and Mikhail scored goals for Crestwood. Luckily, we were able to hold onto our lead and won our first game 3-1. Our second game was against Crescent School. Unfortunately, Crescent scored the first goal; however, we were able to quickly come back with a beautiful goal from Sebastian. We had a great second half with Ben scoring 3 goals for Crestwood. Additionally, Harrison scored his first goal of the season! The whole team made sure to help out on defence, and we were able to finish the game off with a win. The final score was 5-3. The final game was against The York School. We knew this was going to be our toughest battle yet, as they had also won their first two games. In the first half, Mikhail, Nathan, and Ben scored amazing goals for Crestwood. We were going into the second half with a score of 3-1. We knew it was important to keep our lead, as The York School was fighting back hard. In the second half, we had goals from Ben and Graeme. We also had two goals from George. With everyone playing a part in this tough battle, we won our final game 7-4!! The Crestwood U-10 soccer team are officially your tournament champions! We are so proud of the whole team. We had such an incredible season! We learned how to work together as a team, and that made us come out on top. Both Coach Offman and Coach Hebscher could not be more proud. 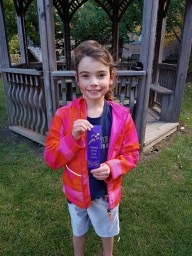 Congratulations to the U-10 soccer team! 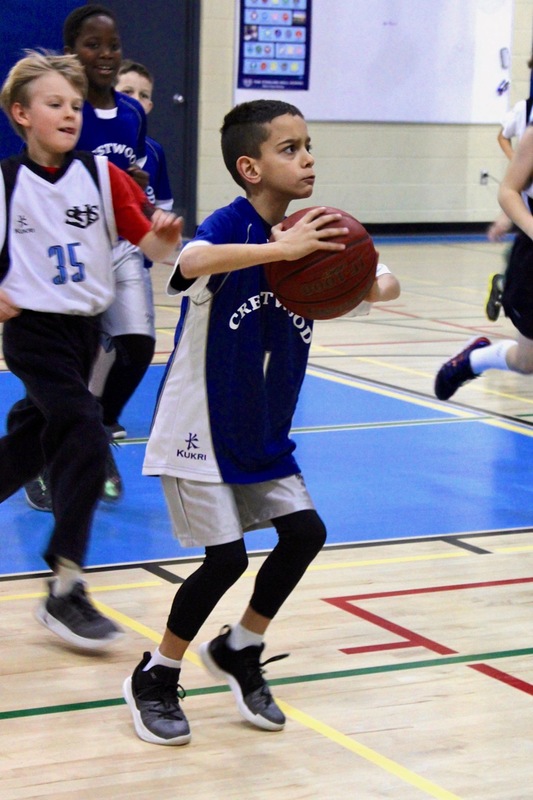 The Crestwood U12 Team travelled to Branksome Hall to compete in the final, weekend tournament of the season. The girls got off to a hot start in the first game against Kingsway College, opening with a 6-2 run. By halftime, the team was rolling along with a 12-8 lead. The girls continued their excellent play into the 2nd half moving the ball with precision and making smart decisions on the court. 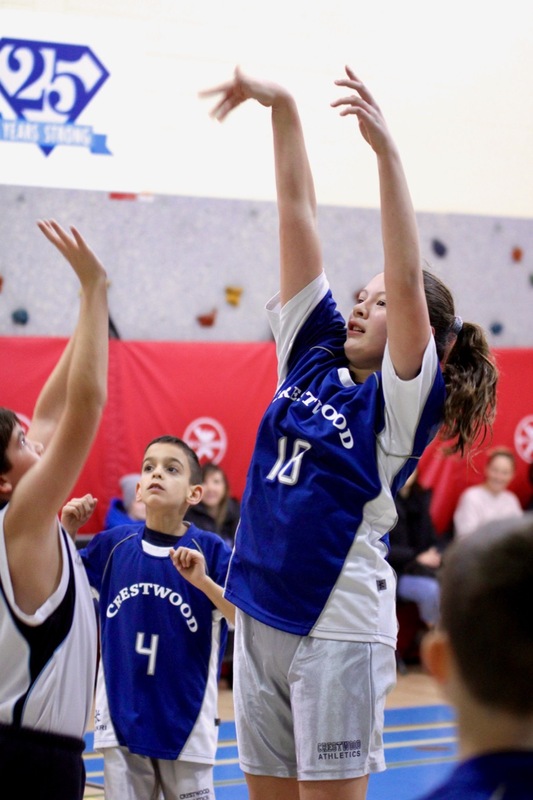 The final score was 24-16 for Crestwood and the girls were off to the Championship Game against Branksome Hall. 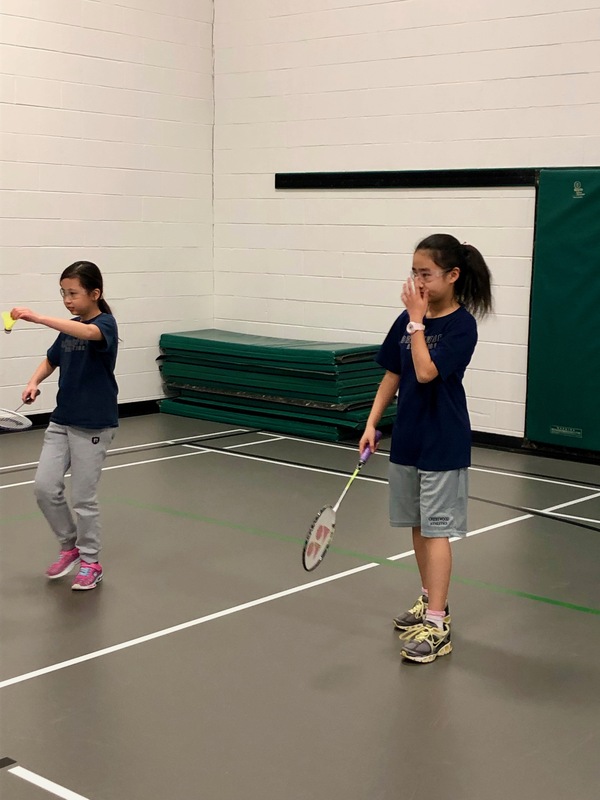 The girls put their game faces on knowing they were up against stiff competition in the Athletic Centre. It was a back and forth first half with the girls giving it their all. The U12’s were up by 1 point at the break, as a result of a solid team effort. As the game wore on, the girls lost steam sprinting across the bigger court. The final score was 36-27 Branksome Hall. We could not be more proud of the dedication and growth the U12 Girls showed this season! They played like a true team and learned how to trust each other and their own abilities. We hope the girls’ love of basketball will continue in the years to come! The Grade 6 soccer team attended our end of season finals at De La Salle on Saturday. Placed on the strong side of the draw the odds of making the final were against us. The second game was against the hosts and favourites for the tournament. This would be our toughest test. With some tough lucks and questionable calls we had a high hill to climb. After a timeout, Crestwood regrouped and rallied. We fought our way back into the game with an equalizer. Soon after we gained the advantage with the goal of the season. A wonderful cross from Johnny for Griffyn to jump and head the ball home. Crestwood 2 – 1 DLS. The final was against Crescent B. Crestwood came out fast and was quickly in the lead. But Crescent struck back with two breakaway goals. 1 – 2 advantage Crescent at the half. The second period was frustrating for Crestwood as chance after chance narrowly missed. Then the breakthrough goal to tie the game and the confidence came back. Two more goals sealed the well-deserved win. Crestwood 4 – 2 Crescent B. Thank you to all the players and parents for helping during the season. The Conference of Independent Schools’ Athletic Association will be proudly presenting a very informative workshop for parents of our male and female student/athletes. The workshop will be hosted on Tuesday, November 6th, 2018 from 7:00-8:15pm in George Weston Hall (Upper Canada College Preparatory School – see map link below). Best of all, there will be no cost to attend. This interactive workshop explores the role of a Second-Goal parent, supporting their child so that he or she enjoys a positive experience in sports. Assessing your children’s goals and desires in youth sports in comparison with your own. How to talk with your child about practices, games and what they are learning through sports. 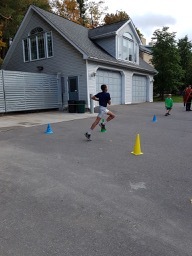 How to enact and reinforce PCA’s major principles: Mastery of Sport (Not Just Scoreboard Results), which values effort, learning and bouncing back from mistakes and adversity; Filling Emotional Tanks, with the correct mix of truthful, specific praise and constructive criticism; and Honouring the Game through appropriate sideline behaviour and interaction with coaches. RSVP is required as booklets for all participants need to be ordered. ALL are welcome – please feel free to invite a friend or coach from the neighbourhood. For some, the cool fall weather calls for crawling indoors and curling up under a blanket. 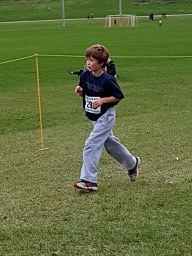 For others, it takes us to running the final run of our cross-country season. 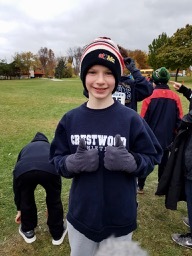 Though there wasn’t any snow on the ground, the course took our Crestwood runners onto the chilly trails competing against a backdrop of changing leaves at Centennial Park. 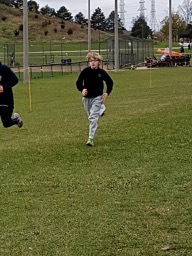 Our young athletes had their final opportunity to meet fellow runners, take part in a fun competition among peers, and create their own Cross Country memories. Congratulations to our nine competitors: Angus, Sanad, Dara, Cooper, Tate, Daniel, Jameson, Thato, and Tyler. The Cross Country Coaches are proud of every single member of the team that dedicated their time to practice, exercise, train, and run! 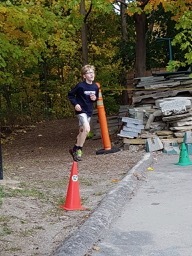 What a finish to a wonderful running season! A penalty kick, plus a hat trick from open play by Johnny and some more glorious goaltending from Mikel was enough to take Crestwood to victory. A slender squad of just 9 players from grade 6 set out with much vigor and dominated much of the first half play to take a 4-goal lead. After the interval, the game became more balanced and Crestwood once again relied on their superb goalkeeper to keep the visitors at bay. Final score Crestwood 4 – 1 Crescent. 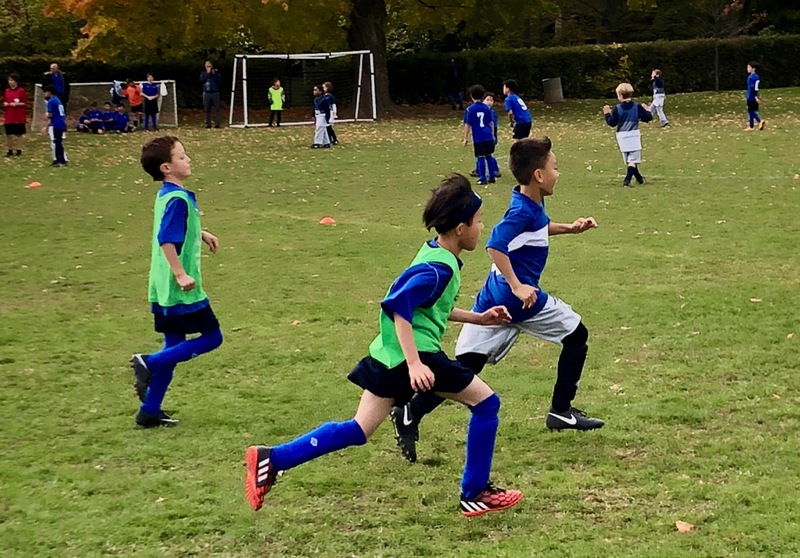 The Grade 6 soccer squad finishes up their season with a tournament on Saturday at De La Salle College. Good luck lads. On Monday the U-10 soccer team travelled to Crescent School where we participated in a mini tournament. Our first game was against Country Day School. George, Ben, and Nathan all scored, which lead us to win our first game 3-0! Next, we played against Crescent School. Both teams battled hard, but our goalies George and Harrison were not letting anything past them. 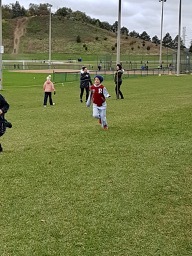 The final score was 0-0! Next, we played another team from Country Day School. We battled through our tiredness, and managed to keep another 0-0 tie throughout the whole game. Our final game was against another team from Crescent School. We went into the final quarter with a 0-0 tie, until Nathan took the lead for Crestwood with an unbelievable goal. The final score was 1-0 for Crestwood! We are so proud of each and every team member. We have improved tremendously throughout our season. We are looking forward to our last regular season game on Thursday, and our final tournament on Saturday. Way to go team! Keep up the great work! 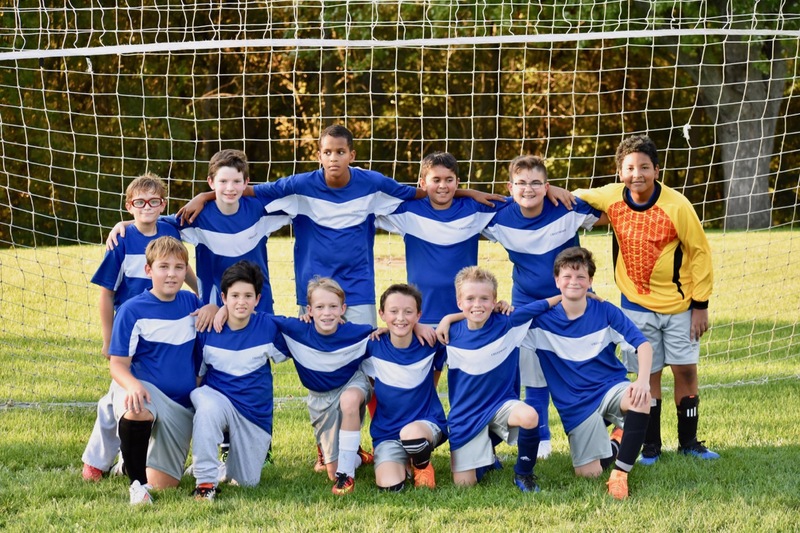 Congratulations to the U-10 soccer team for finishing their regular season with a big win at UCC yesterday! Coach Hebscher and I are so proud of each and every one of you! 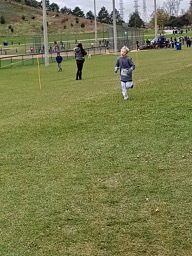 Shoutout to Nathan who scored an awesome goal for us, and Ben who scored two! Lastly, a huge shoutout to Sebastian who scored his first goal from a corner kick!! We are looking forward to our tournament tomorrow at Crescent School. See you all tomorrow morning at 9:30 am. Way to go team! 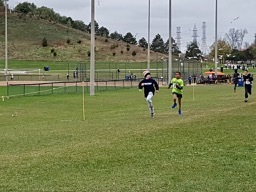 Our final qualifying meet took place at Crescent this past Wednesday. 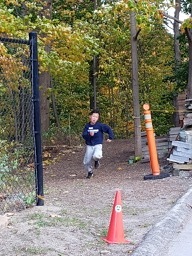 With laces tight, our runners took off running through the fall trails. 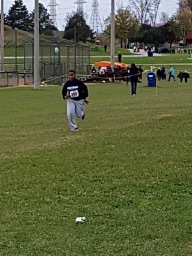 Many of our team members conquered the muddy, hilly terrain obtaining personal best scores. 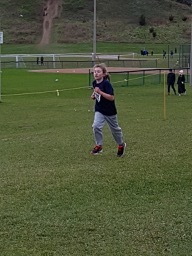 James, Jordyn and Davis all placed in the top 10 category for Under 9s. 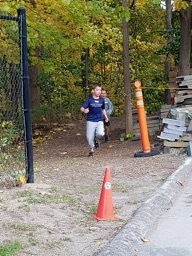 Congratulations to all of our racers Johnny, Cooper, Daniel, Tate, Jameson, Tyler, Natasha, Dara, and Sanaad and a special thank you to Aiden for coming out to support the team as he recovers from an injury. The Cross County Finals take place next week at Centennial Park. Go Crestwood Go!! The U12 Girls Basketball team traveled to Pickering College on Monday, October 15th for their 5th game of the season! The girls were eager and ready to play from the sound of the first buzzer. Once again, it was a close game throughout, but the Crestwood Cubs managed to maintain the lead for almost the entire game. Finally, in the last shift of the game, our defence stepped it up a notch, and our offence took over, finally pulling ahead for the win. The final score was 26-21. A special thanks to our fans that drove out to Newmarket to cheer us on! With one game left on Thursday at Havergal, we are focused and ready to continue to improve and succeed as a team. Go Crestwood!